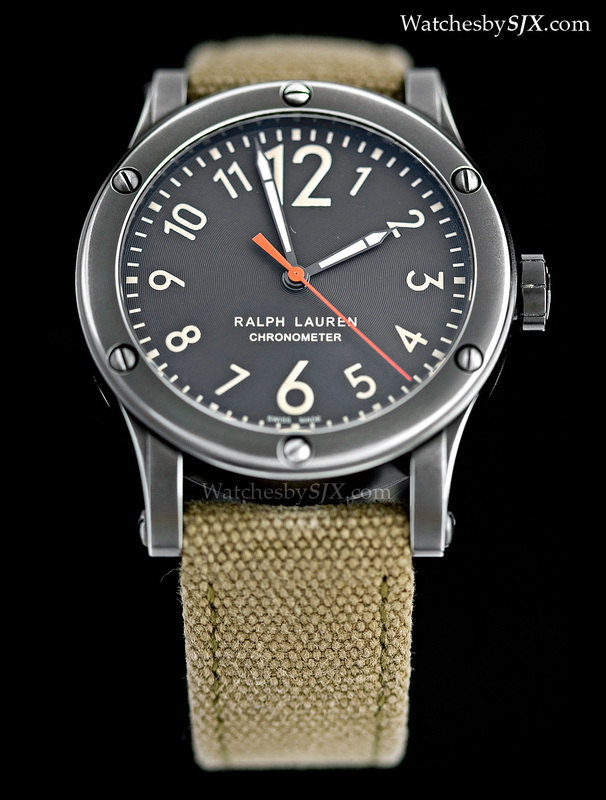 Ralph Lauren’s entry level timepiece is the RL67 Safari Chronometer, an attractive COSC certified automatic in a gunmetal case paired with a distressed canvas strap. 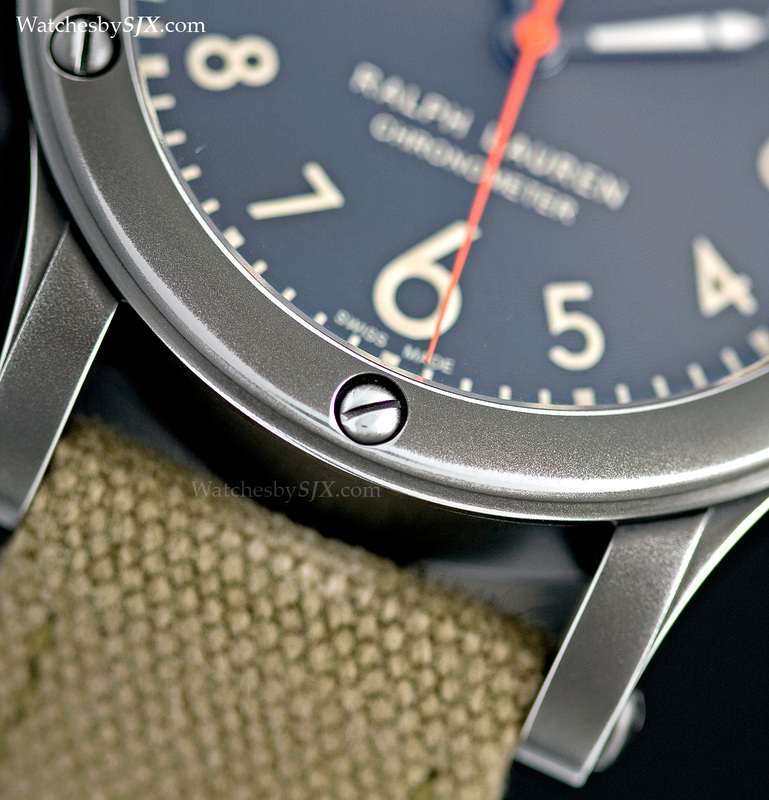 Ralph Lauren is not a brand associated with better watchmaking, and not one instinctively accepted as such. 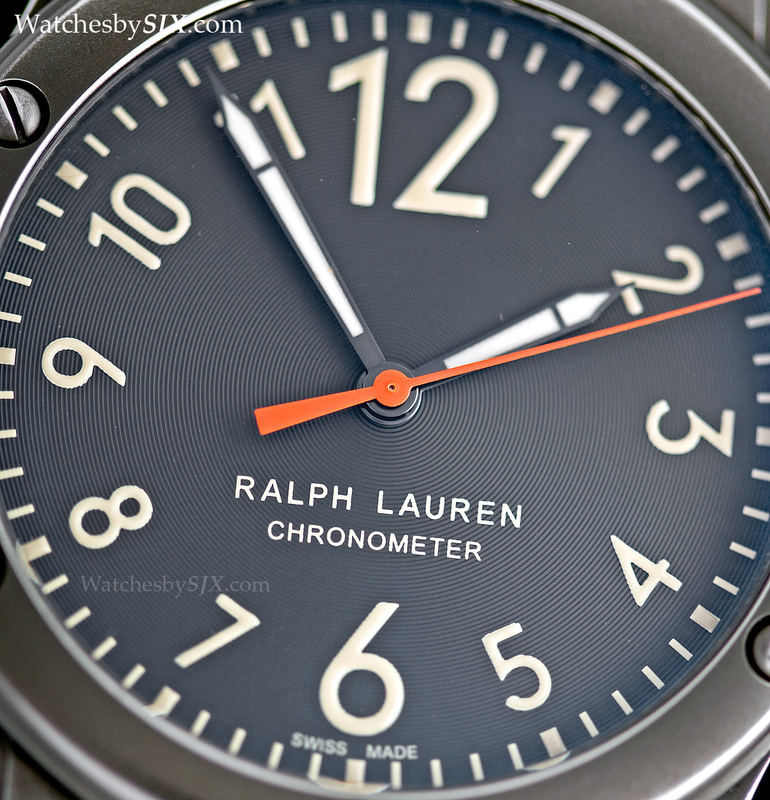 But Ralph Lauren is making good efforts at making good watches, thanks in no small part to its watchmaking arm being a joint venture with Richemont. Most of its timepiece are equipped with movements from Jaeger-LeCoultre, IWC and Piaget. 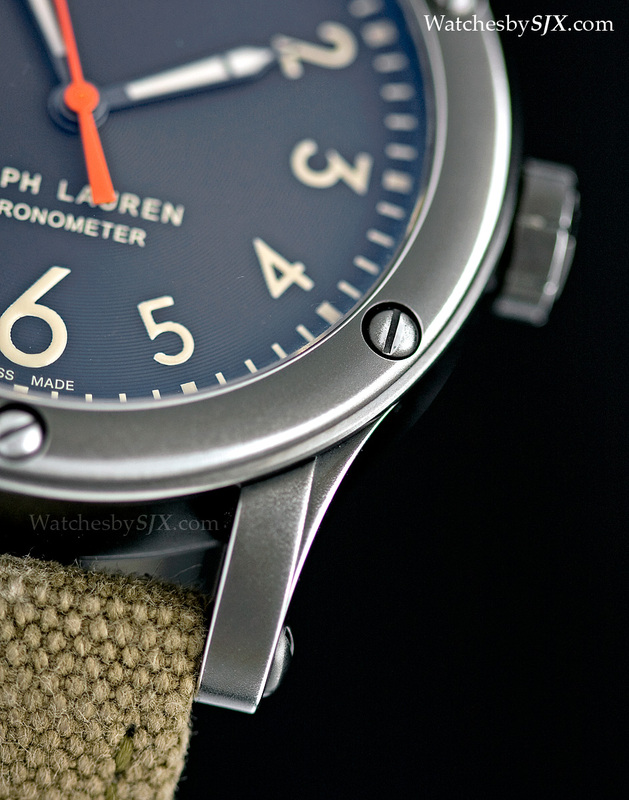 That makes them pricey, but starting last year Ralph Lauren began to focus on more accessible products, namely with the RL67 Safari Chronometer. 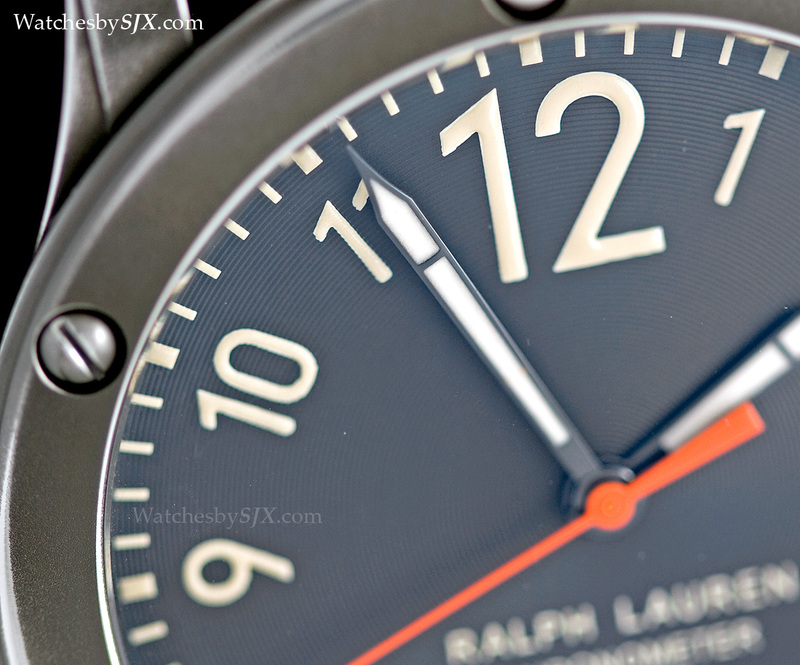 Ralph Lauren watches are generally well designed, with appealing proportions and colours. Often they evoke a particular theme, like the burlwood dashboard of a vintage Bugatti. 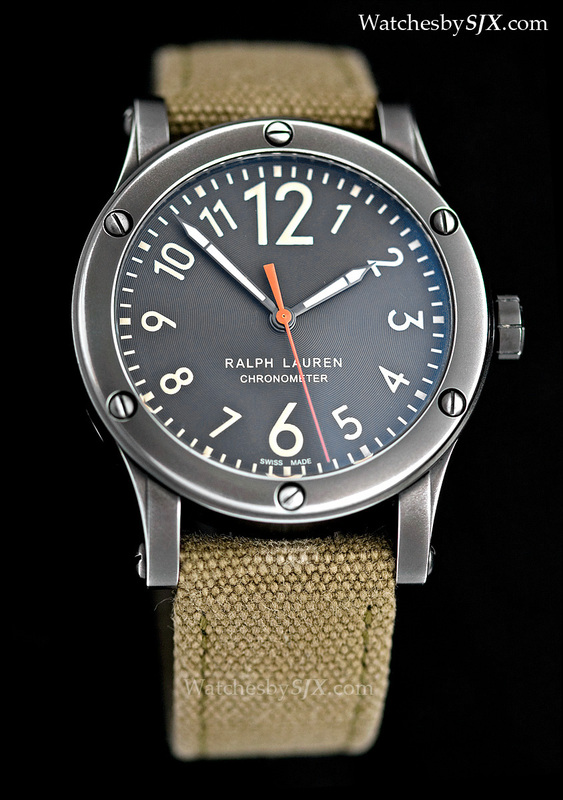 Powered by a Sellita SW300 movement, a clone of the ETA 2892, the RL67 Chronometer has an aged gunmetal case and a distressed green canvas strap. Together they give it an attractive look that is well, safari. 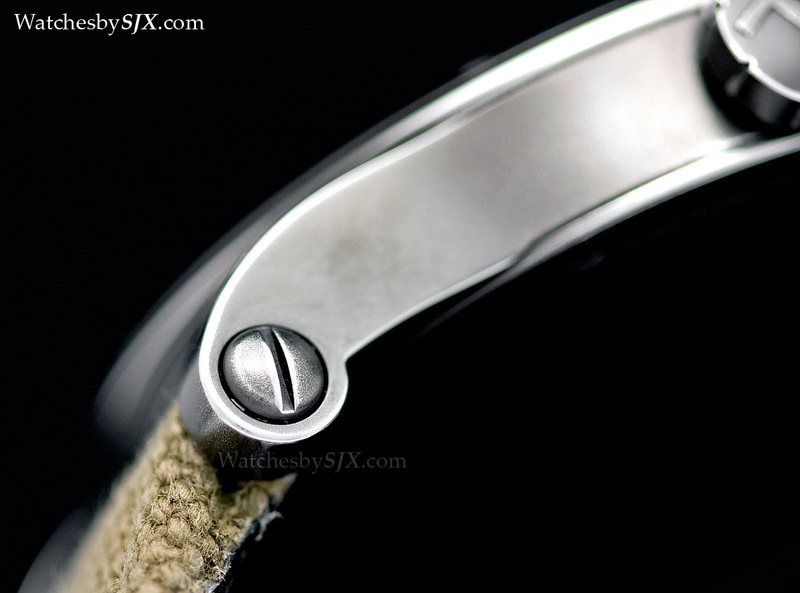 The case reveals several attractive details up close, including the steps on the top of each lugs, and also the scroll-shaped profile of the lugs. Each watch case is slightly different due to the finishing process. The steel case is first coated black and then tumble finished, basically put inside a rotating drum with abrasive materials. This wears off some of the black coating, primarily on the edges and screw heads, giving it an artificial, but good looking, patina. The dial is dark grey, almost black, and decorated with fine concentric guilloche. 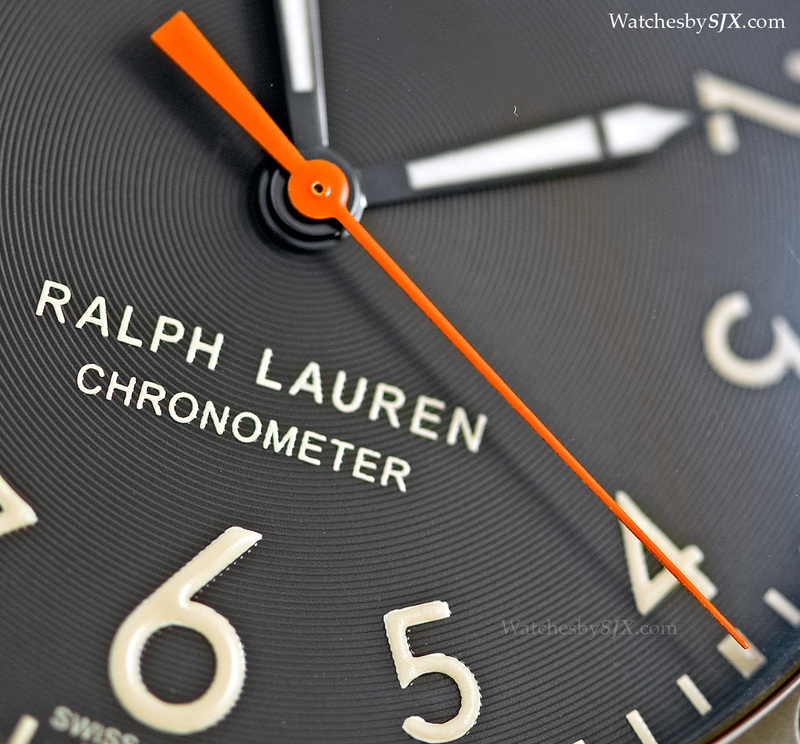 A bright orange seconds hand injects some colour into the watch. Slight bleeding is evident in the printed text and numerals, but this is common with such guilloche dials as the concentric circles almost create a channel for the ink to flow. 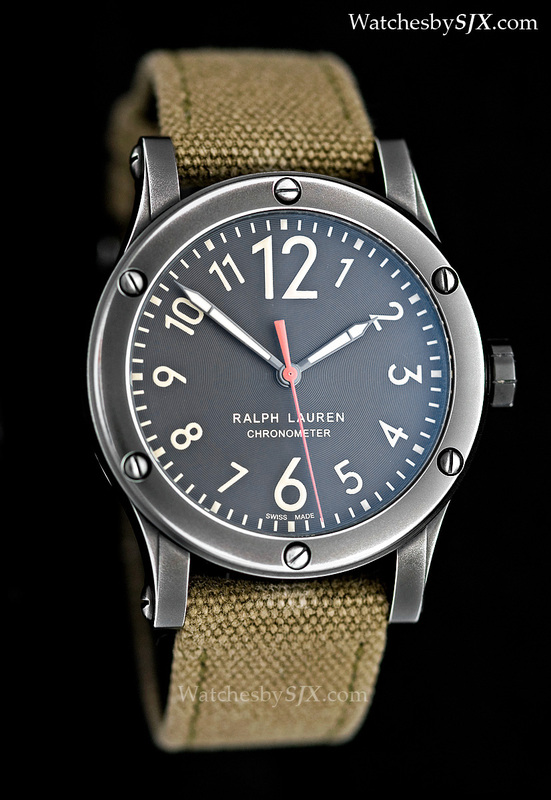 With a retail price of US$3250, and S$4150 in Singapore, the RL67 is the most affordably priced watch in the Ralph Lauren collection. 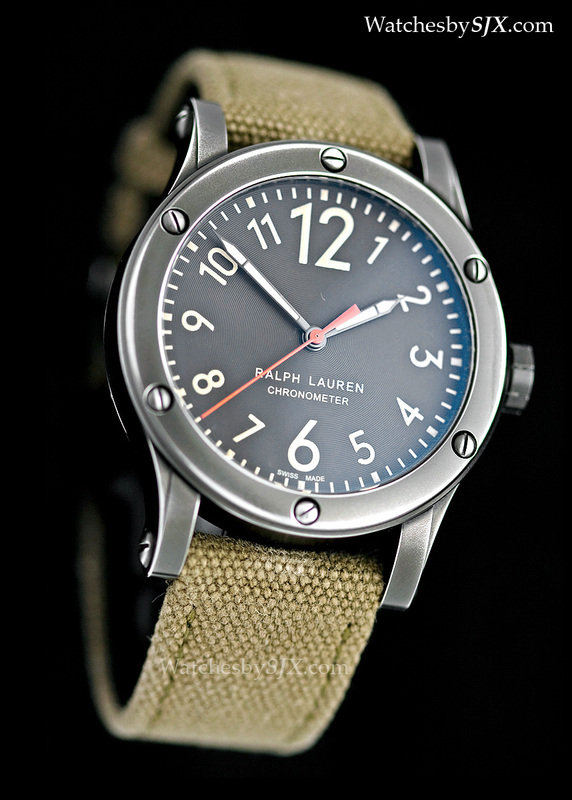 Pictured here is the larger version of the RL67 Chronometer, with a diameter of 44.8 mm. A smaller, 38.7 mm wide version is also available, with otherwise identical specs. 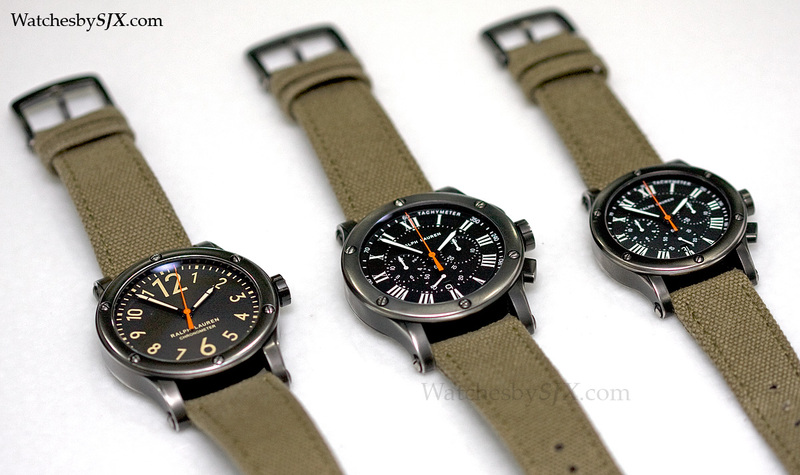 Also part of the same Safari range are a pair of chronographs, also available in two sizes, as well as a tourbillon.